Our specialists are highly trained and use the industry’s most effective, yet gentle products to clean and sanitize your home or office. We offer one-time cleaning or regularly scheduled cleanings on a schedule that best suits your needs. Call us at (630) 796-6252 to learn more about our services or to schedule a consultation. 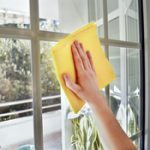 Your life is busy with work, family, the kids’ activities, and social obligations, so you really don’t want to spend your free time doing deep cleaning. Plus, you may not have all the tools and products to get out stains and get into all the nooks and crannies. Letting the cleaning slide just makes it worse as the dust and dirt builds up over time. This not only makes your house look dirty, but causes unsanitary living conditions that lead to health problems. RestorationMaster will clean your home in Yorkville, IL from the ceiling to the floors, including the places you might not think to clean. We use effective, yet gentle products to clean and sanitize your rooms so they look their best. Even tough to clean rooms like kitchens and bathrooms are no match for our experts! Maintaining a clean office is an important part of running a business. You need to ensure that the area is free of dirt and trash and is a pleasant place for staff and customers. 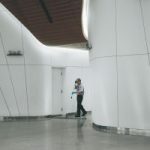 Your employees are busy doing work that earns your company money; you don’t want them to take time away from that to clean offices. RestorationMaster provides full service office cleaning in Yorkville, IL and the surrounding areas. We’ll dust, vacuum, clean, and sanitize your office space so it’s ready to welcome the public. You can rest assured that the job will be done right because it will be done by trained professionals. When you move out of a home or office building, it helps to have the space professionally cleaned. 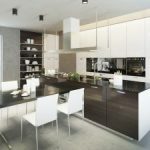 Some rental agreements specify that a home must be clean in order to receive the security deposit back, and a professional cleaning ensures this will happen. It’s a good idea to have a home or office professionally cleaned before you move in, so you start with a literal “clean slate”. RestorationMaster provides move in/move out cleaning services in Yorkville, IL and surrounding areas to clean and sanitize properties in between tenants. Our specialists use the most effective, yet gentle products available in the industry to remove stains and leave the rooms smelling fresh. Just because the construction work has been completed doesn’t mean a new space is ready for people. Construction projects leave a great deal of debris behind, and not just piles of sawdust and scraps of wood. Nails, screws, and small slivers can be anywhere and picking up this type of debris is beyond the capabilities of ordinary household vacuum cleaners. RestorationMaster provides full service post-construction cleaning in Yorkville, IL and the surrounding areas. 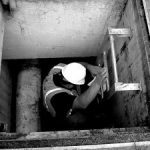 We have the heavy-duty equipment that can easily clean these sites quickly, as well as remove sawdust and other fine debris without spreading it. Call us at (630) 796-6252 for a wide variety of residential and office cleaning services.